Becoming a school teacher in Hawaii will prove to be one of the most rewarding careers you could choose. You will have the power to positively impact the lives of children. The following steps will help you become a teacher in The Aloha State. First you should decide what age group you would teach best. You have several choices, including elementary school, middle school, and high school. It is important to teach what you enjoy, so this should be the first question that you ask yourself before moving on to teaching requirements in Hawaii. All of the requirements in Hawaii depend on what level you choose to teach. You can visit the Hawaii Department of Education for more information on teachers, schools, and students in the state. If you want to become a certified educator in Hawaii, you must at least have a Bachelor's Degree from an accredited college or university. In addition, you must complete a State Board-approved teacher preparation program. The teacher preparation program should focus on the area you wish to become certified in. Certified educators in Hawaii must complete an accredited teacher preparation program. Teacher Education Programs in Hawaii make sure their teachers are highly skilled in whatever area they will teach. By the time teachers exit the program, they must prove they are professionally prepared to teach in the area they wish to become certified in. There generally two elements which make up these programs, curricula and fieldwork. Curricula includes the classes you will take at the college level including courses on classroom management, differentiated instructional strategies, and subject-based methods courses. The fieldwork element includes field observations, student teaching, and internships. You can check Hawaii Department of Education's website to find out what Teacher Preparation Programs can help you become a qualified teacher in Hawaii. However, keep in mind that you can complete online teacher preparation programs as well, as long as they are accredited. If you do not already have a Bachelor's Degree, this step could be completed as part of your Bachelor's degree. If you already have a Bachelor's Degree, you will be able to complete an alternative or post baccalaureate teacher preparation program. There are alternative routes you can take to become a certified teacher in Hawaii. If you are a trade professionals with at least three years of field experience, you might be eligible to earn a "Career and Technical Education Limited Duty Special Permit (CTE Permit)". 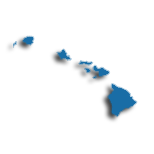 This permit will allow you to teach your special trade in the state of Hawaii for a one-year period of time. You may be able to teach in Hawaii public schools if you are a teacher who holds a "National Board for Professional Teaching Standards Certificate". Board certification is looked at as the highest mark of professional accomplishment in the teaching field. This process to certification allows for teachers to master their practice in the classroom and prove their dedication to their students and peers. You may be able to earn a Hawaii standard teaching certificate if you have completed a teacher preparation program and earned licensure to teach in another state. In order to qualify, you should have three years of teaching experience and you must be able to submit your valid license and applicable test scores to the Hawaii Department of Education. Another step is to pass the required exams for licensure in Hawaii. There will be a Basic Skills test along with a Content Knowledge Verification exam. The content knowledge competency test should be taken in the area you would like to teach. For example, an aspiring math teacher should take the appropriate mathematics examination. These exams can usually be fulfilled by taking the necessary Praxis Series tests, or another state test if available. If you are taking a Praxis test series, you should use score code 8620 to ensure that your scores will be sent directly to HTSB (Hawaii Teacher Standards Board). After you complete the above steps, you will be ready to begin your wonderful career as a certified teacher in Hawaii, The Aloha State. The power of Hawaii's future will be in your hands! Remote but attractive, the state of Hawaii takes great care to hire qualified teaching staff throughout the year to ensure that student needs are met. Currently, Hawaii has a need for teachers with the following certifications:​ Elementary Education; Special Education; Secondary Math and English; Drama; Industrial Arts; Health; and Hawaiian Language Immersion. The Department of Education also stages a recruitment fair on the mainland during the springtime. The state Department of Education manages an affiliated website for job postings and applications. Hawaii offers a collaborative retirement plan wherein both teachers and the state contribute to pension disbursement after retirement. Teachers are encouraged to visit and register through hawaiipublicschools.org to view and apply for opportunities. The state teacher union is an affiliate of the National Education Association, locally called Hawaii State Teachers Association (HSTA). Teacher unions exist to advocate on behalf of teachers individually and as a demographic. Private school opportunities are also available for teachers. Hawaii has about 145 private schools with an average of eleven students to every teacher. All but a third have religious affiliation. Salary and advancement may differ from the public system. The table below lists the number of public school teachers in Hawaii by grade level during the 2012-2013 school year. There are more than 120 private schools with an estimated 2,700 private school teachers in Hawaii. The table below details the number of teachers by grade level during the 2011-2012 school year. In the field of education, professional development initiatives occur at the school, district, and state levels. State and local educational standards and initiatives drive improvement through professional development. Other important factors that govern professional development are opportunities for professional collaboration and student achievement to support learning. Teachers in Hawaii engage in professional development through a variety of platforms. Professional developments can occur during the school year and summer, in order to improve promising practices through a combination of learning and leadership skills. Hawaiian teachers engage in a number of streams of professional development depending on their needs and their career direction. Some of these streams are non-credit workshops through the teacher professional development credit program. Courses from the program may assist teachers to meet Hawaii's Highly Qualified Status. The current system is in the process of replacing the offerings of former professional development systems. Teachers are encouraged to contact the Office of Curriculum, Instruction, and Student Support (OCISS) through the Department of Education. There they will find a comprehensive listing of professional development opportunities that will improve teacher practice. Examples of courses offered include those exploring Common Core subject matter, technical education, AP, English Language Learners, and so on. In Hawaii's three-tier teacher licensing system, a master's degree is one of the best ways to hit the top tier of professional qualification offered by the Teacher Standards Board. Earning that master's will put you on the NASDTEC Stage 4 level on the interstate teacher qualification alignment, broadly recognized as the master's degree level and allowing you to transfer with relative ease between state's that participate in NASDTEC reciprocity agreements. Under Option B for the Advanced License requirements, you can fulfill your path to the license with a master's or specialty degree (or 30 hours of other graduate coursework). The credits or degree must be earned at a regionally accredited institution and has to either be relevant to the field for which the license is sought, or which improves your professional practice as a teacher overall. Importantly, the credits or degree used to qualify for the Advanced Licensed must not have already been applied to meet the requirements for obtaining your Hawaiian Standard or Provisional License, or a teaching credential in another jurisdiction. You'll also have to have five years of full-time teaching experience out of the past eight years. And, although Hawaii does not explicitly require professional development hours in order to renew teaching licenses, those hours, in the form of college credits, can be used to satisfy many of the 10 standards you must meet for renewal. Earning your master's will also offer some financial benefits in Hawaii schools. The Class III salary track requires either a master's or a bachelor's degree plus 30 subsequent semester credits, with the same accreditation and field requirements as the Advanced License. 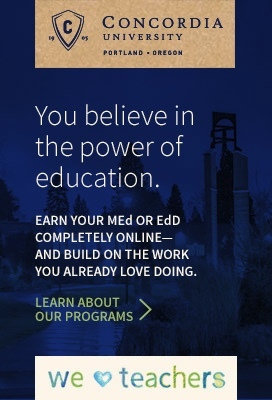 That makes a master's degree a two-for-one benefit, and well worth the effort.